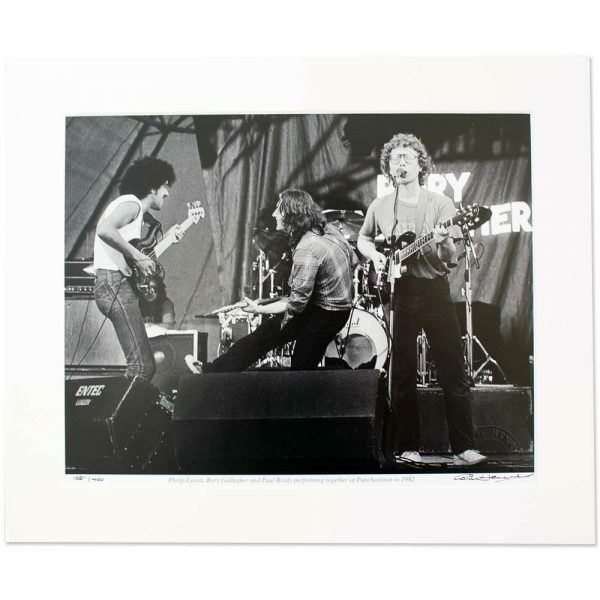 Wonderful mounted photo of three Irish stars – Phil Lynott, Rory Gallagher and Paul Brady, playing in concert together at Punchestown in 1982. Signed by former Hot Press photographer, Colm Henry. Open edition. A fabulous gift from Ireland.